The DSC PTC1620U is the AC Transformer that is used for powering the DSC Impassa Alarm System. For users who need a plug-in transformer for their DSC Impassa, this is the device to purchase. It uses 16.5 Volts of AC power at 20VA. 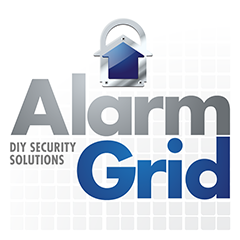 Purchase the DSC PTC1620U Transformer from Alarm Grid. The DSC PTC1620U AC Transformer is the plug-in transformer for the DSC Impassa Alarm System. This is the device you want to purchase if your DSC Impassa does not have a transformer. This transformer will provide consistent and reliable power to the system, as long as electricity is working. If the electricity is out, the DSC Impassa will switch over to its backup battery. The plug-in transformer will also charge the backup battery while it is simultaneously powering the system. This ensures that the system will be ready for any power outage. But most of the time, when the power is on, the system will be receiving steady power from the transformer. There are versions of the Impassa with integrated Alarm.com communications that do not include a transformer. This is the one you will need for those panels. The PTC1620U is an AC transformer that provides 16.5 Volts of AC Power at 20 VA.